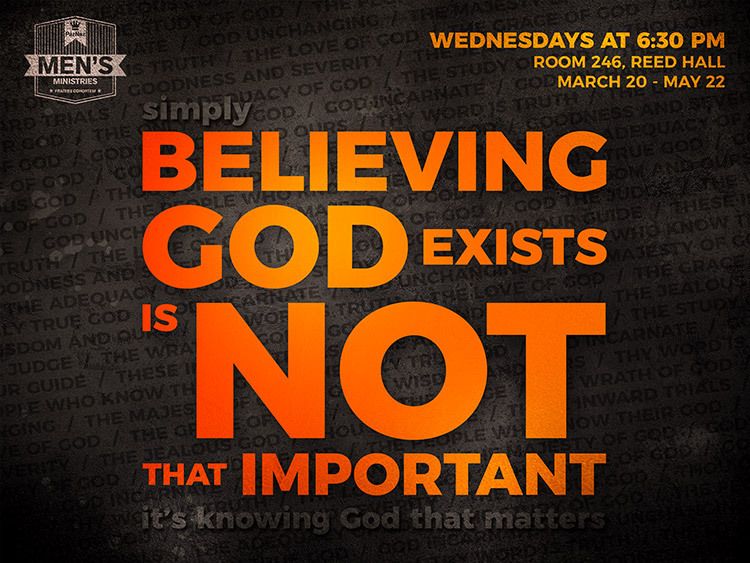 Simply believing God exists is not that important … it’s knowing God that matters! Join this group of men on Wednesdays starting on March 20 at 6:30 pm in Room 246, Reed Hall as they embark on a weekly journey to know God as a series of special guest speakers each tackle a different attribute of God. Contact David Mimms at dmimms@paznaz.org for more information. You are invited to join this group of guys for fellowship and/or dinner at The Habit (3733 East Foothill Boulevard, Pasadena 91107) at 5:00 pm on Wednesdays … and don’t forget, you get free ice cream at the end. Contact Tom Calnon at 626.622.3872 for more information.